[LAPSE... brain dead]: The invasion has begun! 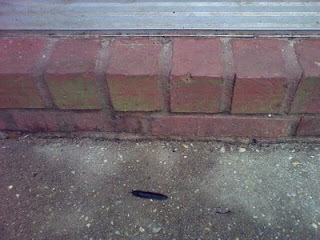 Look how close the slugs are coming, and to the back door instead of the front! It's a sneak slug attack! Man the salt shakers... They shall not take us alive!